They say “if you can’t stand the heat, get out of the kitchen.” But in your job, you aren’t working in no kitchen, and getting out isn’t an option. You have a job to do. So you need work boots that not only are as tough as you are, but as durable too. Here’s another phrase you’re probably familiar with: “Coming apart at the seams.” There’s a reason for that. It’s because things come apart at the seams. Oftentimes, when under the duress of heat. 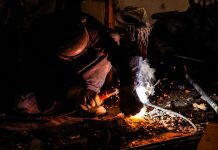 The last thing you want coming apart at the seams is your work boots. You know, the things you rely on most to keep you safe and protected on the job site. Especially in enhanced heat situations. The thread used to make your work boots can make all the difference. If it’s not made to perform at the same level as the rest of your work boots, then your work boots will, you know, come apart at the seams. Only Avenger Work Boots use Gore Tenara High-Heat Thread in the stitching on the uppers of its heavy-duty internal metatarsal guard and puncture-resistant boots. This thread continues to remain flexible even in the most extreme temperatures, whether it’s heat or frost. Regular exposure to UV sunlight and constant outdoor use isn’t a problem either, Gore Tenara High Heat Thread maintains its strength. Acids, alkaline solutions, cleaning chemicals, you name it, Gore Tenara High High Thread stands up to all the elements. Not only that, but it won’t even discolor. Face it, it’s even tougher and more durable than you are. And you can only get it in Avenger Safety Footwear products. But it doesn’t stop at the thread. Avenger Work Boots and Footwear also features safety boots with High Heat Outsoles that protect up to 600 degrees Fahrenheit. They’re made with Bondi High Heat Thread for maximum protection against delamination. 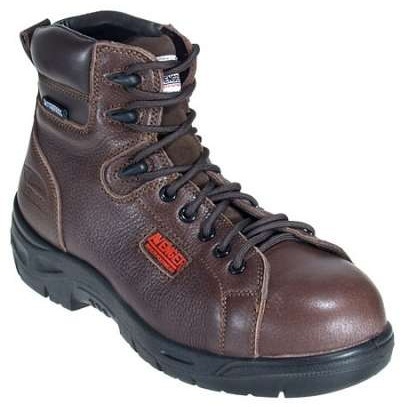 These High Heat Outsole work boots are also Slip- and Oil-Resistant for even further protection and safety. And it doesn’t stop there. Avenger Safety Work Footwear take it one step even further with their Puncture-Resistant work boots, which do exactly what it sounds like – protect your feet from puncture wounds caused by sharp objects penetrating the sole. They feature the flexible Lenzi puncture-resistant plate, which provides superior protection throughout the sole, without sacrificing movement and flexibility. 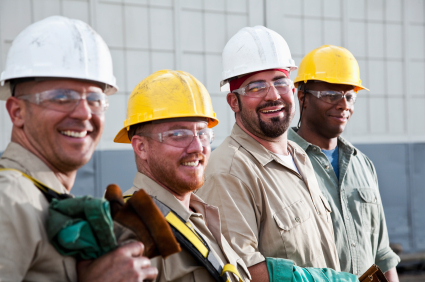 In the end, it means you can work longer, better, safer, and smarter. And while you’re at it, more comfortably. All styles of Avenger Work Boots meet or exceed ASTM 2413-065 Impact/Compression and EH safety standards, and the puncture-resistant styles all pass ASTM 2413-05 Metatarsal Guard or Puncture Resistant Ratings. 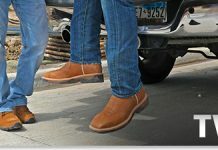 Get a pair for yourself at Workingperson.com! Next articleWhat Makes FR Fabric Different From Other Fabrics?